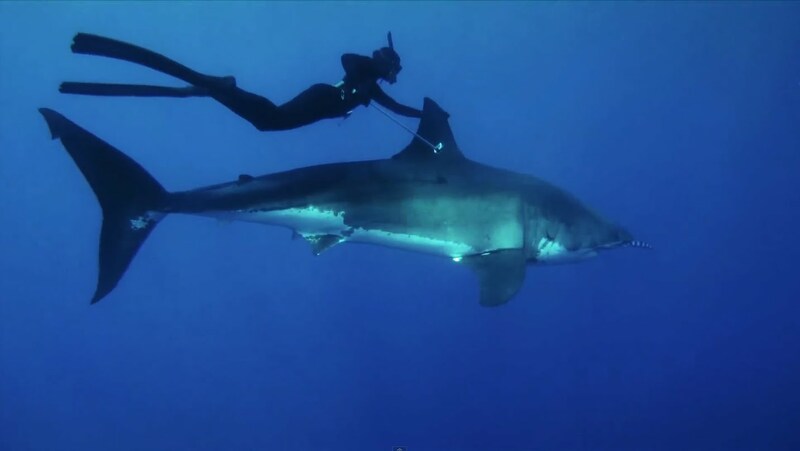 Patagonia Surf’s ambassador, Kimi Werner, shares her first free diving experience with a Great White Shark. Kimi, born and raised in Maui, is often thought of as ” the woman who rode the back of a Great White Shark”. However, she was a competitive spearfisher and the winner of the US National Spearfishing Championship in 2008. After becoming disenchanted with spearfishing as a sport she began to focus on freediving and the enjoyment of the ocean from a more holistic point of view as an artist and accomplished chef. She now only kills what she eats and shares what she cooks . She enjoys maintaining a connection the source of food and is very capable in managing the relationship between predator and prey as she explains in the video below. Kimi Werner explains her first experience with a great white shark in the following video.